Through the Zeiss Victory SF “Test Our Best” Program you can take either the 8x42 or 10x42 model to your favorite birding location and test them in your surroundings. 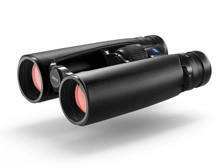 This is a great chance to try out a high-end binocular in a place where you regularly go birding. Note that this promotion is subject to participating retailers and stock availability.